I’ve been reading the Poly.Land blog ever since I read Page’s post about Homing Pigeon Primaries. I really enjoy Page’s outlook on relationships and I think that a lot of her posts are well worth a read even if you are not considering non-monogamy/polyamory as a relationship model. When I saw that she was writing a book I was genuinely excited. Poly.Land: My Brutally Honest Adventures in Polyamory is about Page’s own journey into polyamory. So you could be forgiven for thinking that it isn’t intended to be a resource for anyone looking to get into polyamory, you’d be wrong though, it is most definitely a wonderful resource for anyone who is considering non-monogamy or polyamory. There were times when I was reading this book where I had to stop myself shouting at my kindle. In all her blog posts and in her book Page comes across as a really warm and loving person, so when things weren’t working out for her I found it beyond infuriating. This goes to show though that she hasn’t sugar coated her journey. Which gets a massive upvote from me. I am not hugely experienced in non-monogamy and even less so in polyamory, what I do know though is that feelings are hard and complicated, even when you are only romancing one person, throw another one, two or more people into the mix and of course it’s likely to become even trickier. I want to hear that though, I want to read accounts from people who have faced struggles within polyamory at times and still stuck with it, because that shows me that it is worth the effort. It’s also nice to know you’re not alone, that other people have the same or at least similar thoughts to you. Also hearing that things like compersion can be something you work towards not something you are magically born with, which is how it sometimes feels. I have read and re-read many of the posts on Poly.Land. Often a particular thought will be niggling at me and I’ll remember that I once read a post that might help. Reading the book is much the same, it’s a little like talking about poly with a friend, with no hint of preaching or self-righteousness. 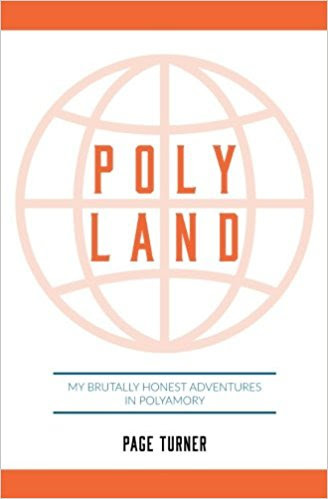 Poly Land is an honest account of how one person navigated her journey into polyamory and when it comes to this kind of stuff I think the more honest we can be about it the better. I thoroughly recommend both Page’s book and her blog. 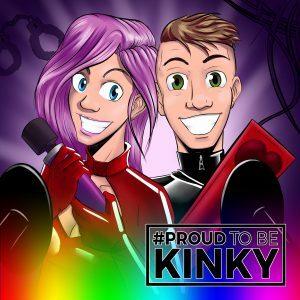 You can find out where to buy Page’s book here and you can hear her chat on #ProudToBeKinky Episode 32.